London's medieval bridge was cleared away almost two centuries ago, but this remarkable structure still lives on in popular memory. 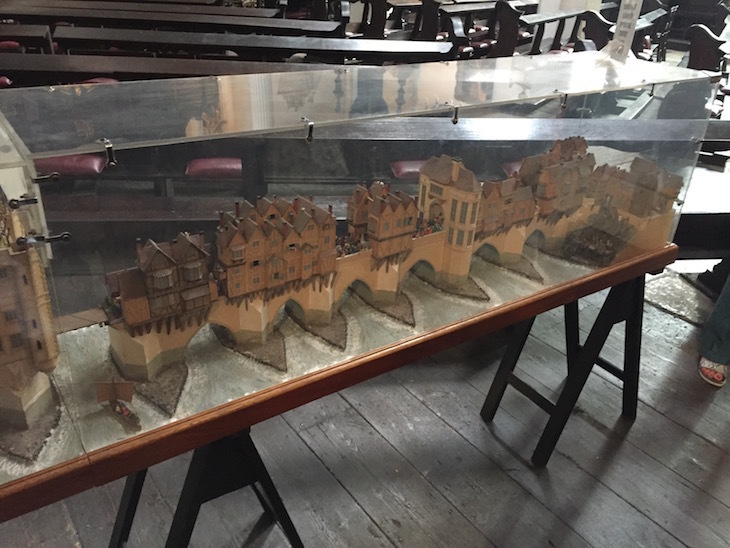 The best place to get a sense of the crossing is within St Magnus the Martyr church, readily found at the northern end of the modern London Bridge. 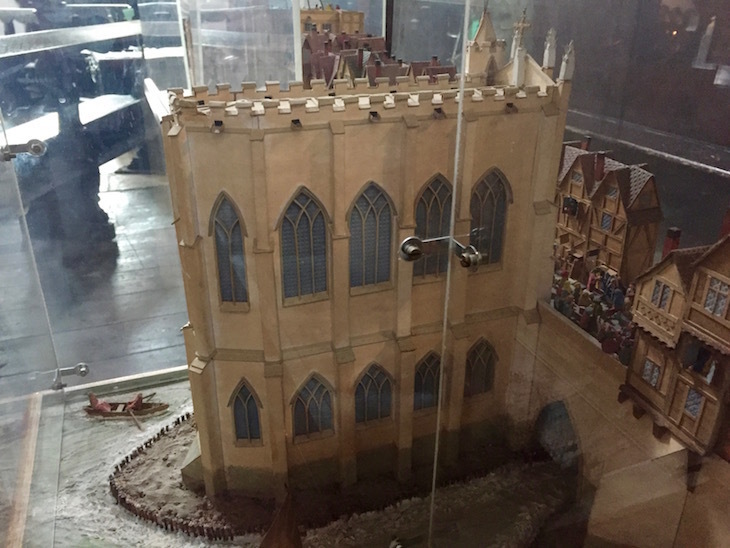 The church contains a scale model of the vanished span, four metres long. It recreates the bridge at the start of the 15th century, when the roadway was overshadowed by wooden housing and shops. 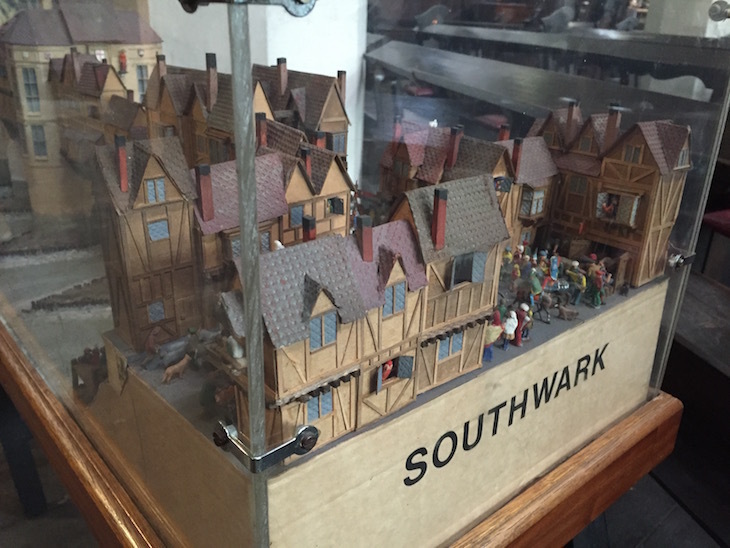 This marvellous miniature was created in 1987 by David T Aggett, a liveryman of the Worshipful Company of Plumbers. The detail is immaculate, from the individual tiles on the lead roofing, to the countless denizens crushing into the roadway or hanging out of windows. You might think that a stroll along Oxford Street on a Saturday in December is the ultimate hell. That's because you never tried to cross the old London Bridge. 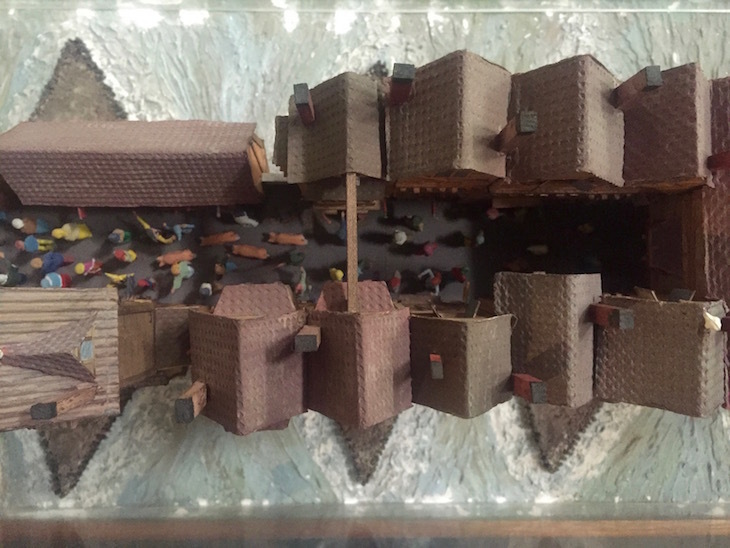 As the model shows, the cramped roadway was easily clogged. This was the only fixed crossing over the river, used by pedestrians, wagons, horses and livestock. Some accounts suggest it could take as long as an hour to reach the other side. St Magnus is remarkable for any number of other reasons. Be sure to check out the stained glass windows, which depict scenes from the history of the bridge. 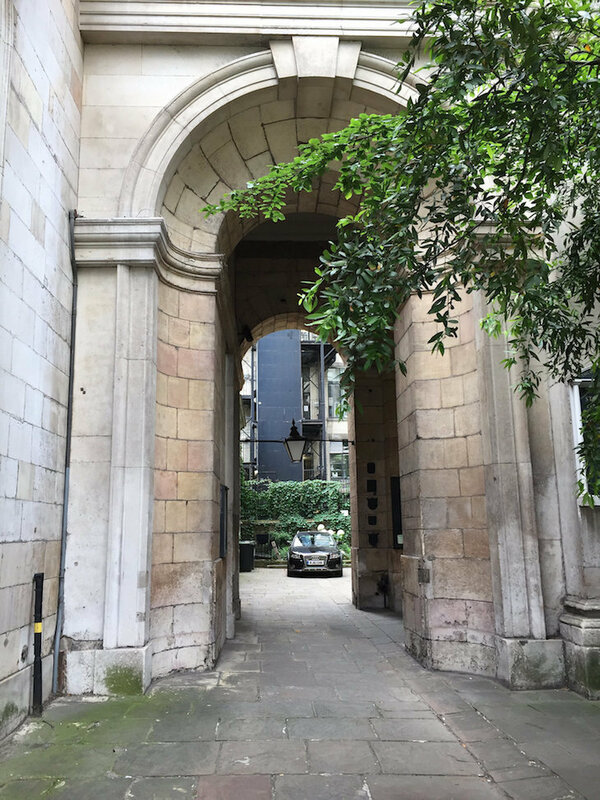 Elsewhere you'll find various memorials to London's fires and timbers from a Roman bridge, plus the 'inexplicable splendour' of the architecture that forms one of the few positive notes in TS Eliot's The Waste Land. Why's the model here? The old London Bridge passed right through and alongside the porch of St Magnus, before the bridge was rebuilt a little further upstream in the 1830s. 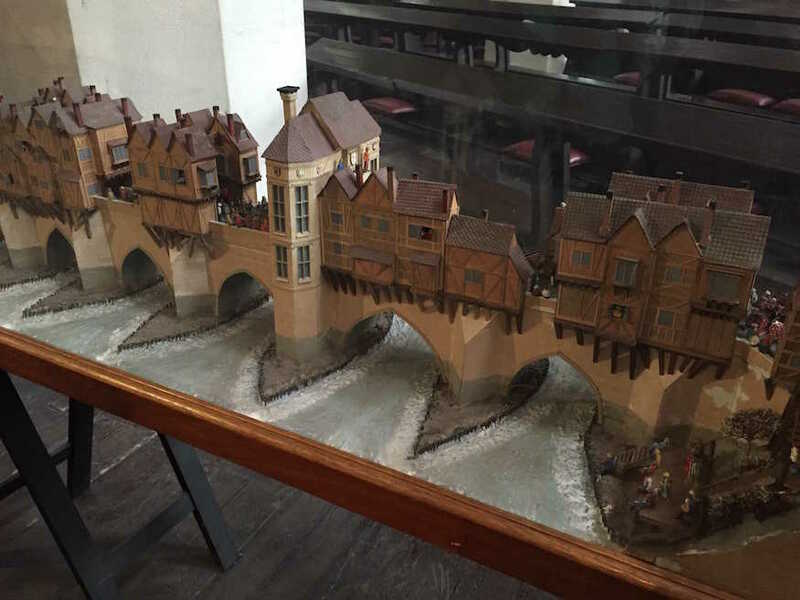 St Magnus Martyr and the model of London bridge are open throughout the week and are free to visit. Copyright © 2019 PreConVision Limited. Company registration number: 10985092. Registered Office: 108 Clerkenwell Workshops, 27/31 Clerkenwell Close, Farringdon, London. EC1R 0AT. United Kingdom. All rights reserved.